Do you wear contact lens daily like me? Well it is A COST to maintain every month especially if you are wearing it daily right! Have you ever secretly wish to find cheaper original contact lens? Well recently I found 1800contacts.com which has the world's largest inventory of contact lenses with almost 10 million of stock promised that you'll get the same contact lenses your eye care professional prescribes, but at discount prices and delivered to your doorstep. They offer all of the major brands like Acuvue, Air Optix, Biofinity, Focus, Freshlook, Proclear, PureVision, and SofLens, as well as specialty toric contact lenses, colored contacts, and bifocal lenses. 20/20 Guarantee is essentially the 20 promises that 1-800 Contacts makes to their customers in order to ensure a positive buying experience. 24/7 Customer service - Help is just a call or a click away ANYTIME! I used their Live Chat and I am very impressed with the customer service and it's 24/7 !! No Hassle Return : Super like !!! Return anytime with free shipping if I change my mind about my purchases.. yay!!! Besides all this,what is more important is that the PRICE! 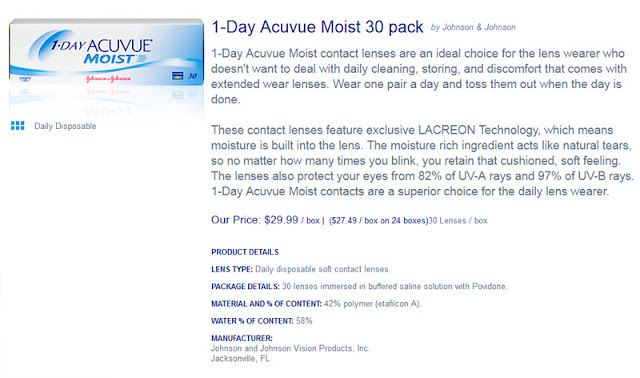 Well I counter check the prices of the Acuvue lens as I am currenty wearing this and happy to find that it is CHEAPER to buy at 1-800 Contacts than in Malaysia's optical shops! I could now say bye bye to the hassle to buy in the optical stores, traffic jam, toll , parking fee etc! And if I buy 24 box for a year supply, I could save up to $60 (RM183)..and even with the shipping fee of $19.99 (RM61.10) which takes 8-12 Business day to receive, I'm saving $40.10 (RM122) !! And on top of that, when my order is over $100.00, I can use coupon code Deal10 for $10.00 off on my total purchase. So in total I am saving $50.10 (RM153.30) in total and that is really a lot of saving !!! 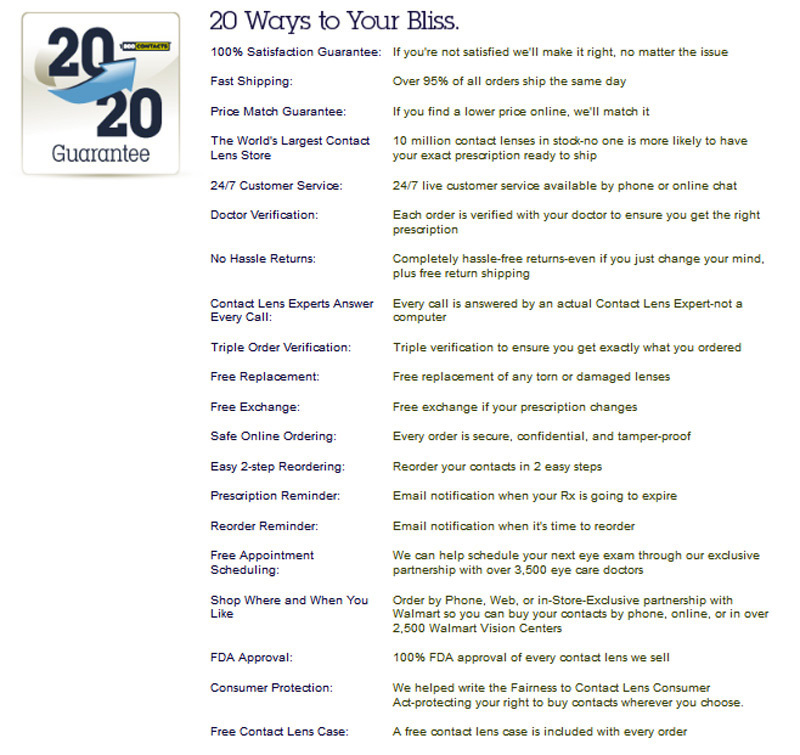 So go check out www.1800contacts.com & start clicking on your mouse & shop for your contact lens!